Have guests swimming in candy and party favors with this Angel Fish Pinata. This Angel Fish Pinata comes in the shape of a colorful rainbow fish with a body big enough to hold up to 2 pounds of party candy. Great for a luau party or summer party, kids will love this classic pinata party game. Before your little guests float in the direction of the pinata goodies, this Angel Fish Pinata doubles as a great party decoration! 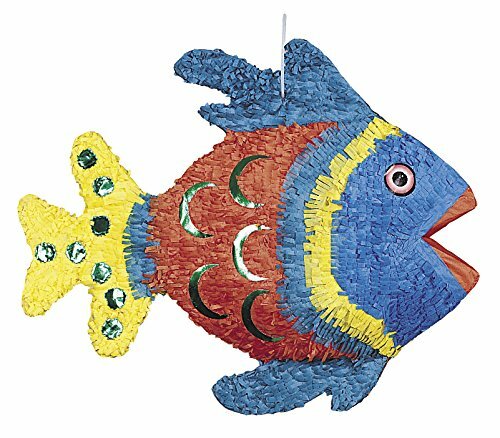 3D Angel Fish Pinata measures 21″ x 14”.